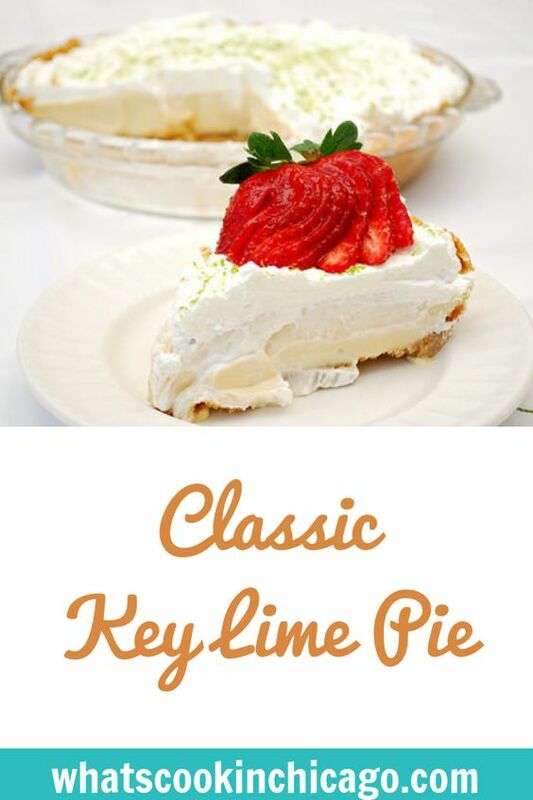 There's quite a few recipes for key lime pie, but this one is legit. I got this recipe from a Florida local who I met at a bookstore while we visited Marco Island during spring break a couple months ago. She and I got to talking while we were perusing cookbooks at the bookstore and she graciously shared her key lime pie recipe with me. It was amazing. AHmazing! So after trying it myself, I knew I had to share it here. Thank you Marge! For the crust - combine the graham cracker crumbs, sugar and melted butter until moistened and press into a 9 inch pie pan. Bake in a preheated 350 degree oven for 7 minutes and remove; set aside. Keep oven on, still at 350 degrees. 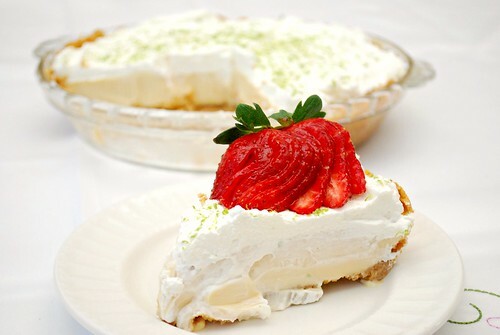 For the filling - combine condensed milk, sour cream, key lime juice and lime zest. Pour mixture into cooled graham cracker crust. Bake into 350 degree oven for 5-8 minutes and do not brown the pie. Remove from oven and chill completely for at least 3 hours, or overnight. For the topping - whip heavy cream in a cold, large metal bowl with cold metal beaters until the cream becomes slightly stiff and spreadable. Spread whipped cream on top of the chilled pie. Garnish with fresh lime zest and fresh strawberries to serve.